Following secondary school studies at the Lycée Michel Rodange, Francine Closener pursued higher education studies at the Université libre de Bruxelles, where she was awarded a degree in journalism and communication in 1993. 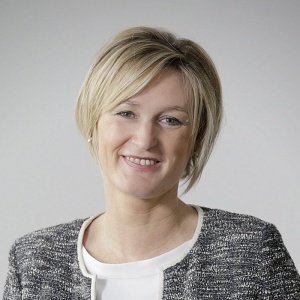 Following the legislative elections of 20 October 2013, Francine Closener was appointed Secretary of State of the Economy, Secretary of State of Internal Security, Secretary of State of Defence on 4 December 2013 in the coalition government formed by the Democratic Party (DP), the Luxembourg Socialist Workers’ Party (LSAP) and the Green Party (“déi gréng”). In 1994, Francine Closener launched her career as a political journalist for RTL Radio Lëtzebuerg, becoming its chief editor in 2008. In 2010, she left radio to work as a journalist for RTL Télé Lëtzebuerg’s news broadcast.